I used Macaroon Boxes, Tulle, Satin Ribbon, RicRac, Baker’s Twine, Unstrung Merchandise Tags, Corrugated Paper, and a Glue Gun and Glue Sticks. This was a fun project! 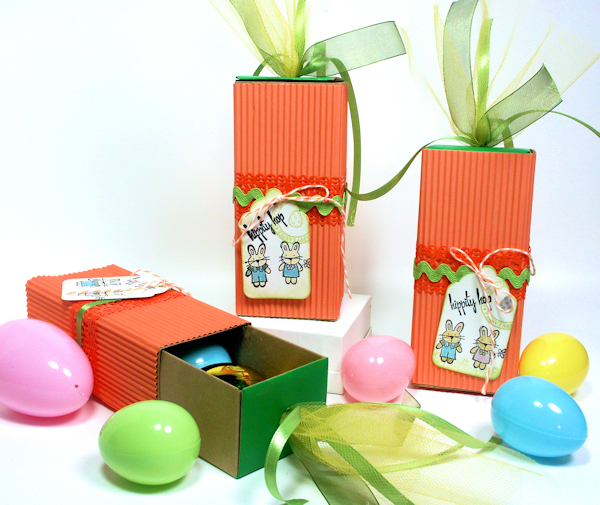 You can really adapt it to any theme but I thought carrot colored Easter treats would be handy this time of year. 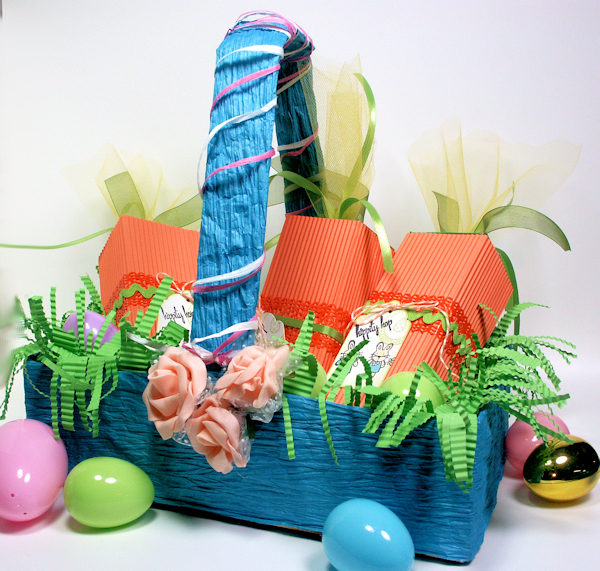 They will stand up on their own or you can place them in your snazzy handmade Easter basket! Best of all the boxes come neatly stacked in a pack of 25 so you can have them always on hand for upcoming projects and packaging. I love versatile products, don’t you? Thanks so much for stopping by and til next time happy crafting! Aren’t they fun? I have an svg file so you can cut the fry box, pumpking mouth and bat wings with your Cricut using scal software. You can do the other shapes with scal too, just look under the shapes menu and if you don’t have a cricut I have a printable template for you. You can also use punches to decorate! I used double stick tape for the sided of the box and handle but the rest can be adhered with a glue stick. When doing this project with your kids be sure to cut out all of the pieces before hand and have a pair of scissors, glue stick, googlie eyes and markers for each person. Download the fry box svg file here to cut on your cricut. You can get 2 from a 12×12 sheet of cardstock. Download the bat wing svg here. Download the pumpkin mouth SVG here. Download a printable PDF file of the above here. 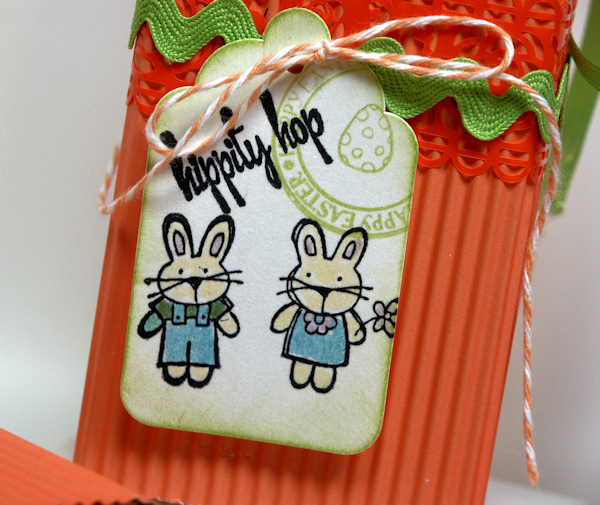 Thanks for stopping by, have a great weekend and til next time happy crafting!